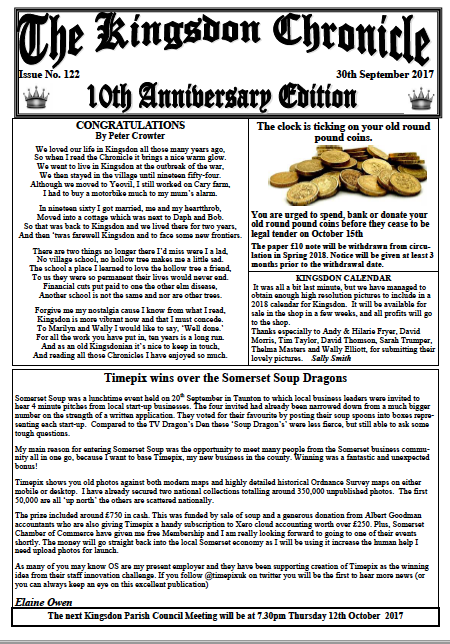 The Kingsdon Chronicle is an independent monthly journal, financed mainly by donations and produced by its founder and Editor in Chief, Wally Elliott. 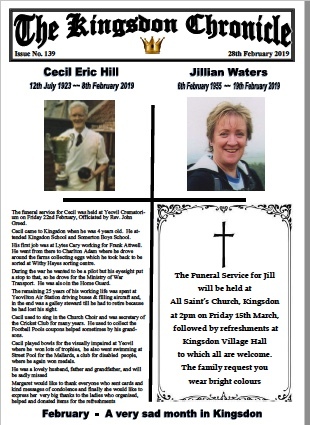 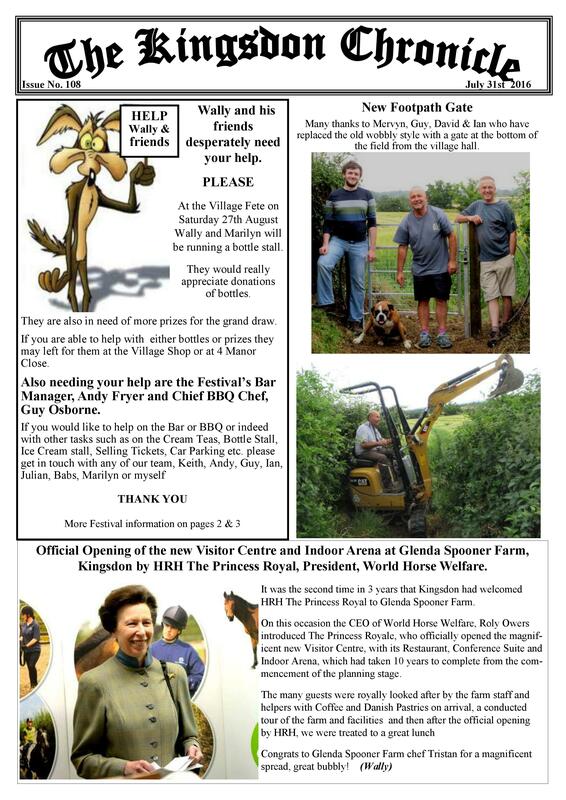 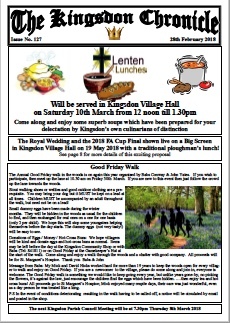 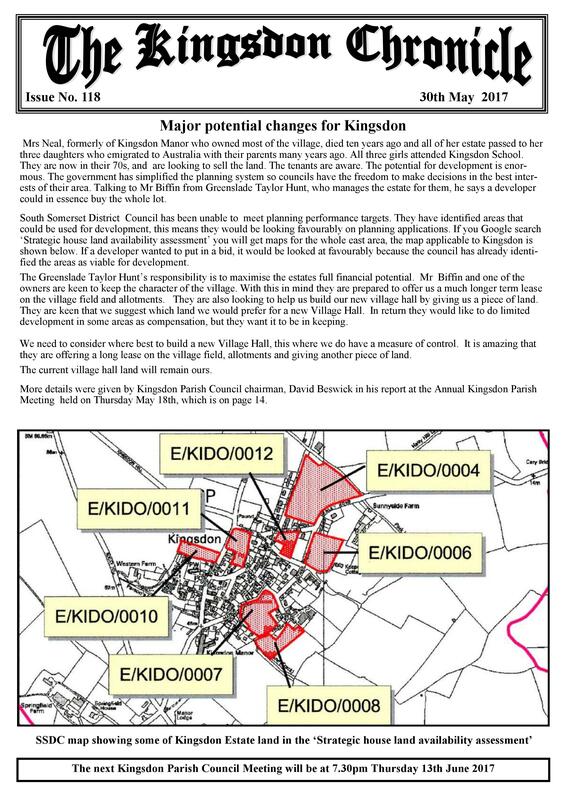 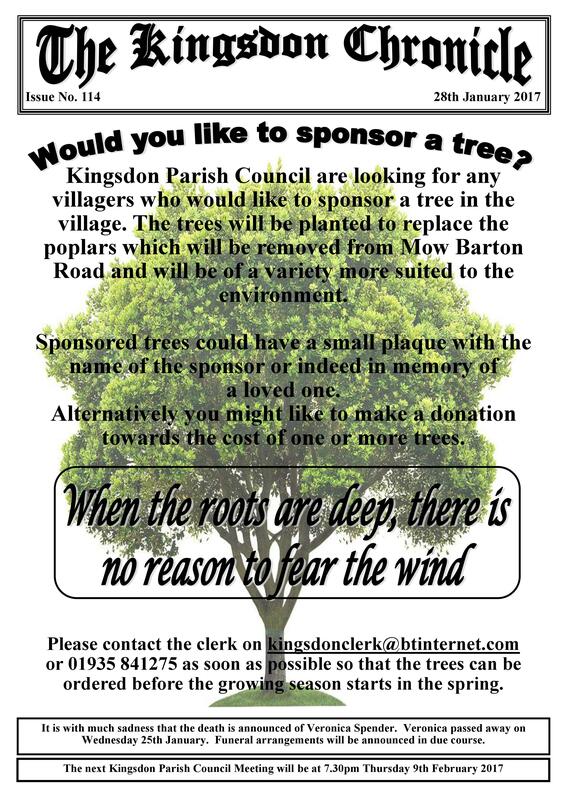 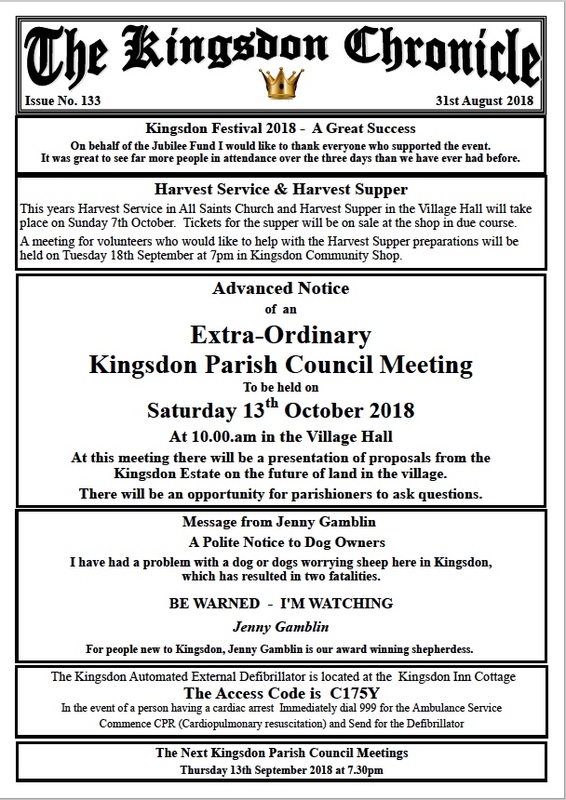 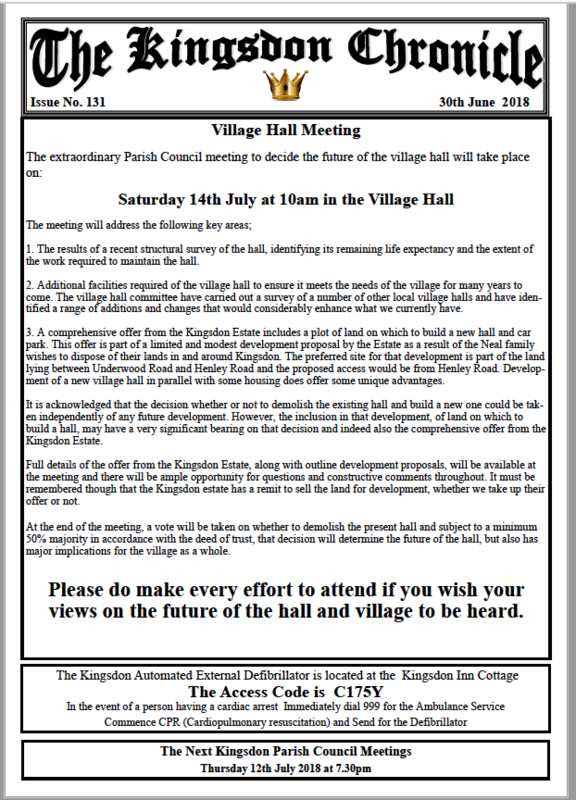 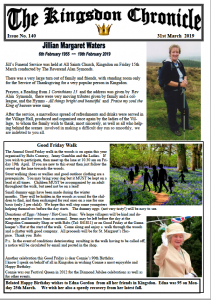 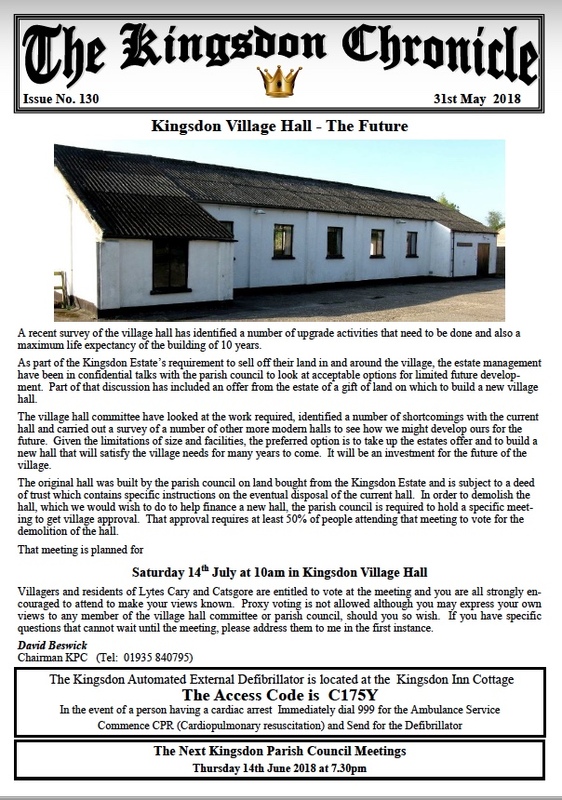 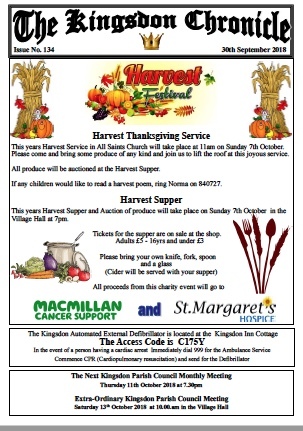 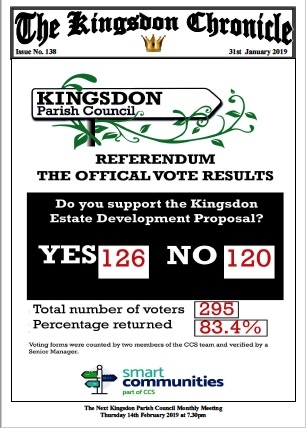 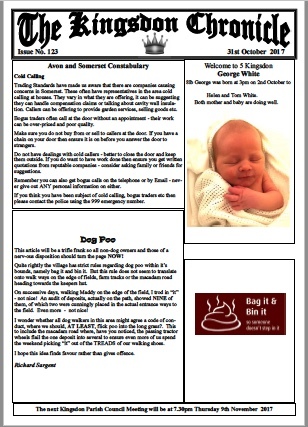 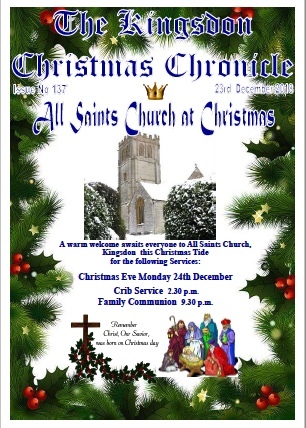 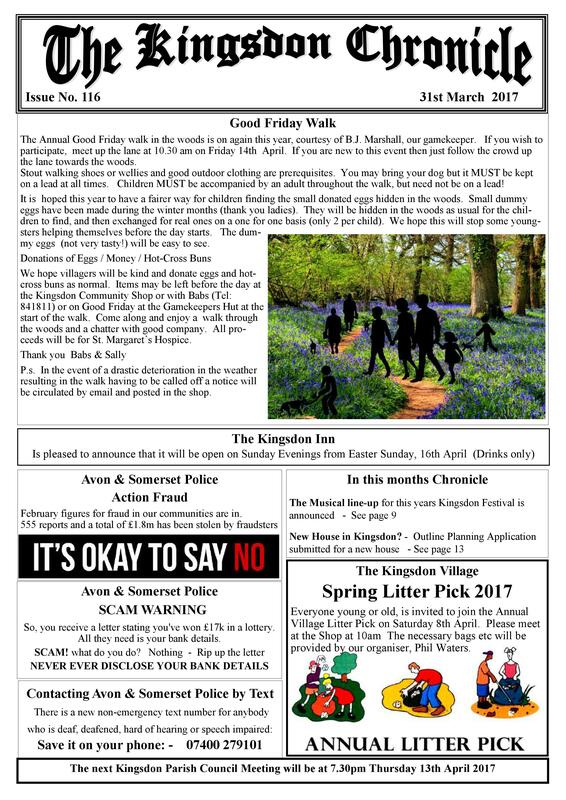 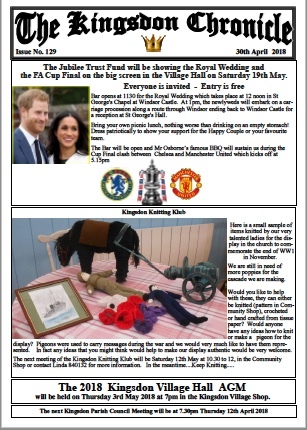 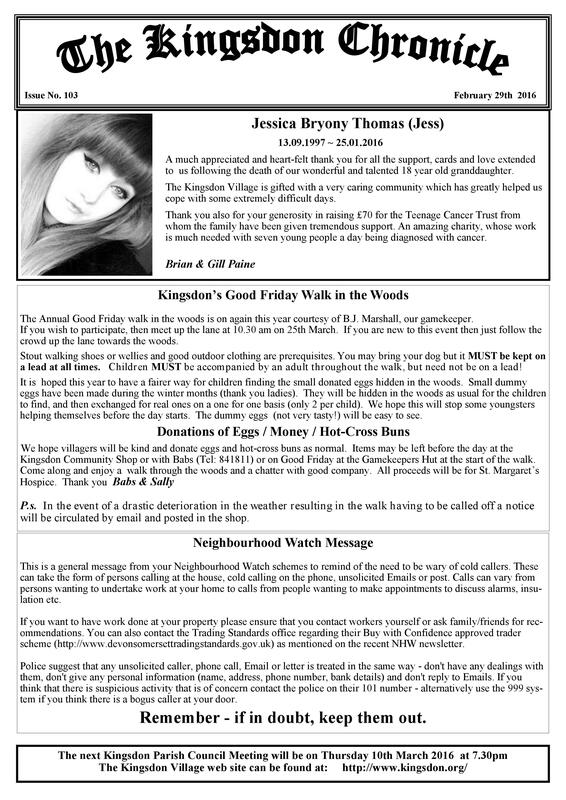 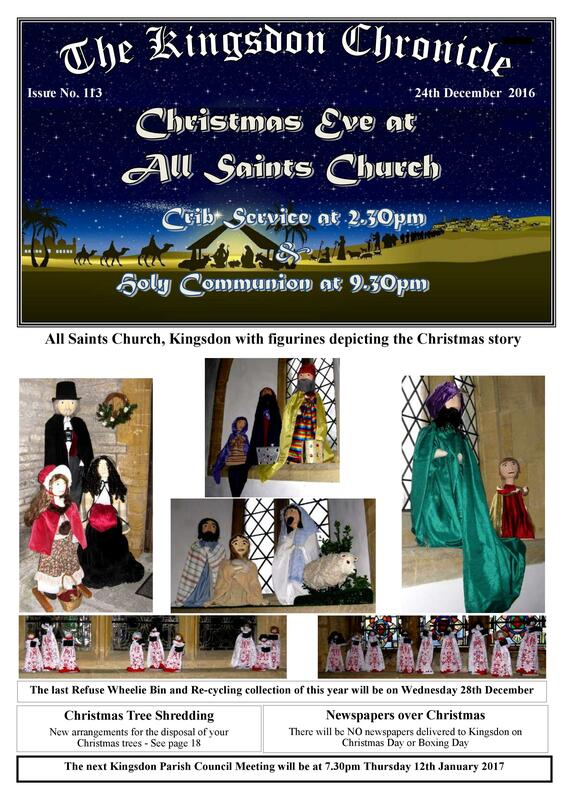 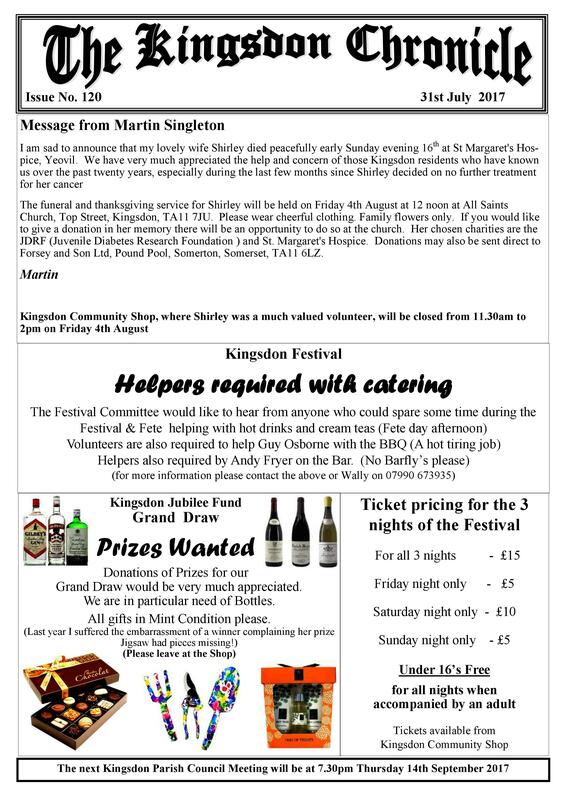 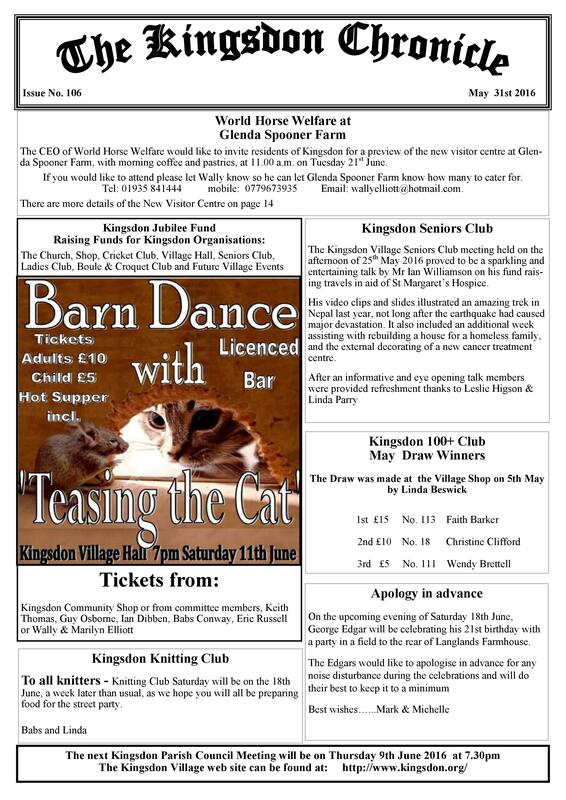 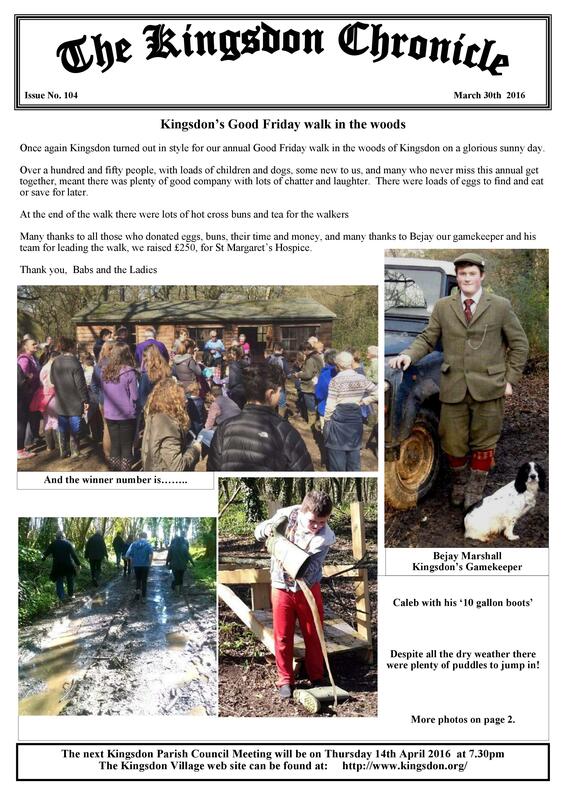 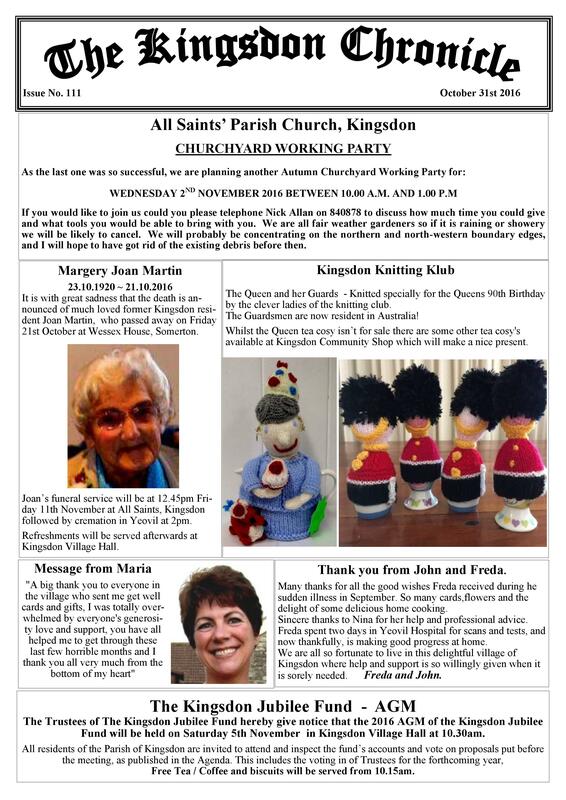 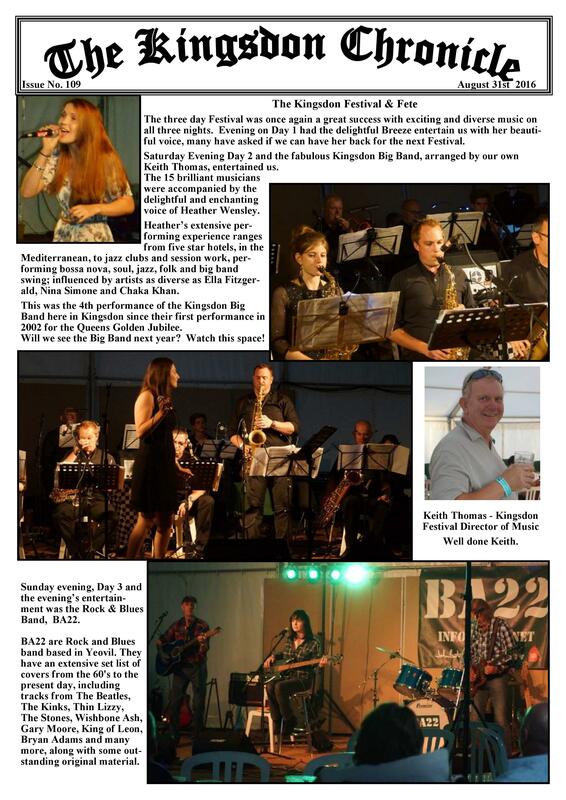 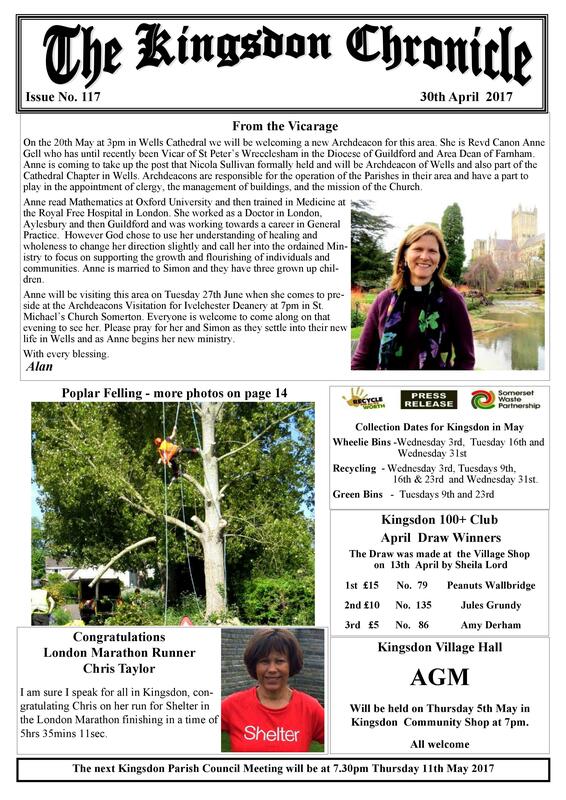 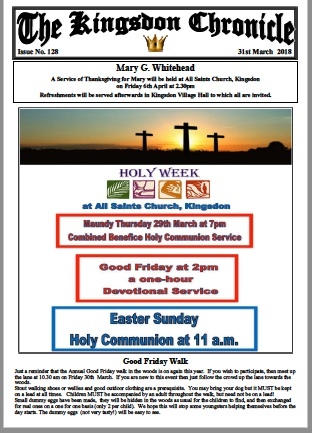 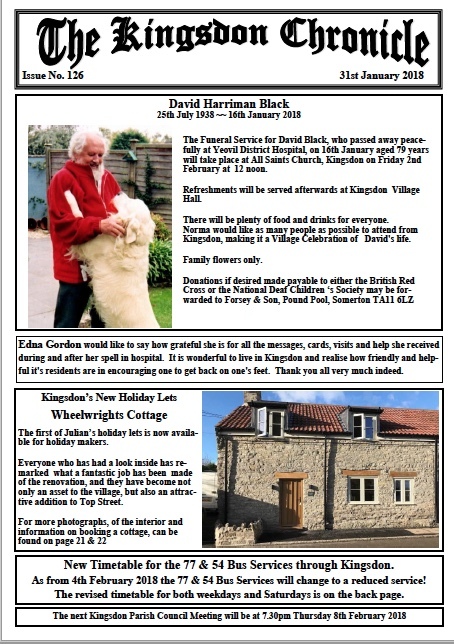 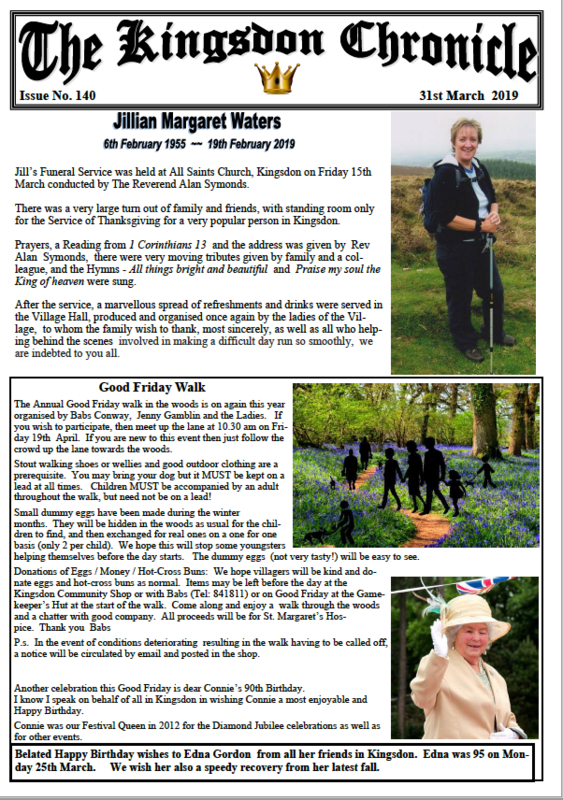 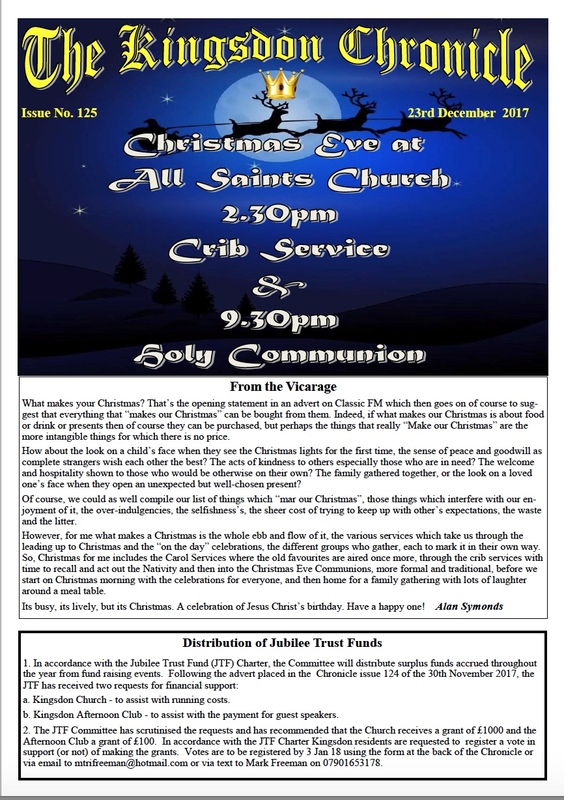 ‘The Chronicle’ contains all the latest village news, articles and information for and from Kingsdon residents who all receive a free black and white copy direct to their letterbox (courtesy of Wally and Marilyn Elliott). 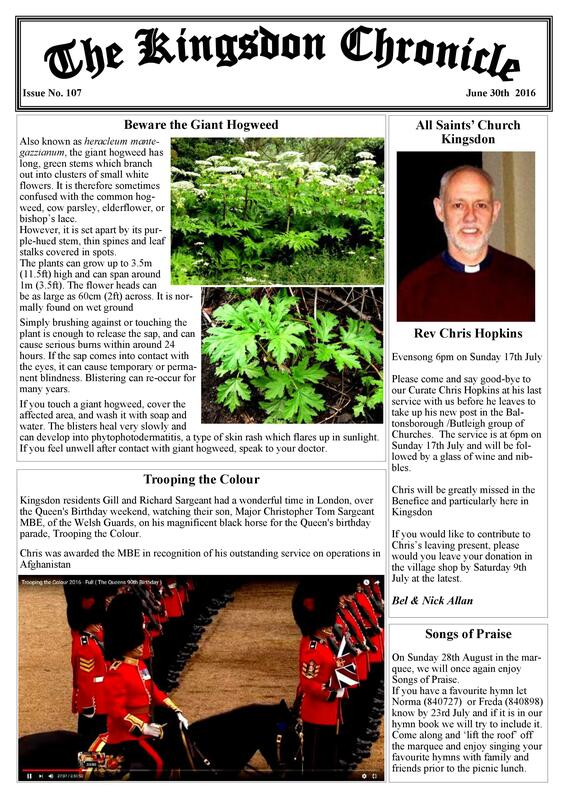 All copies downloaded from here are, of course, in glorious colour! 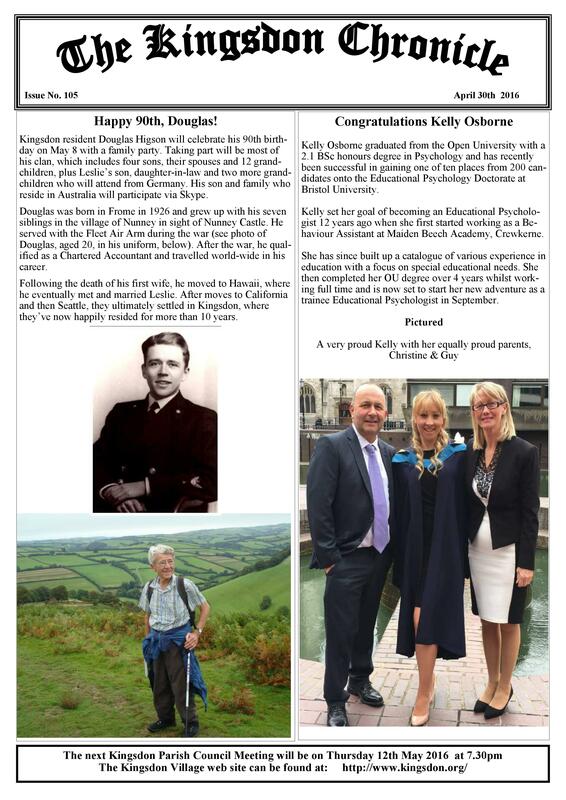 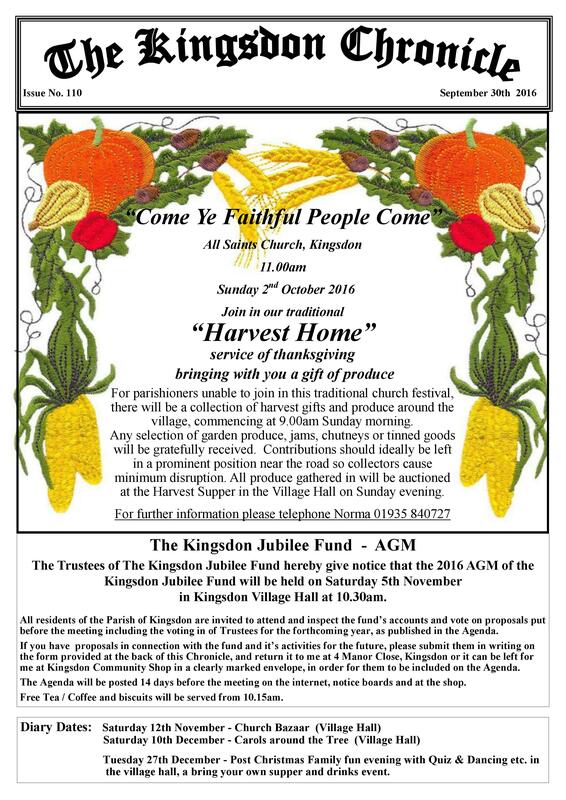 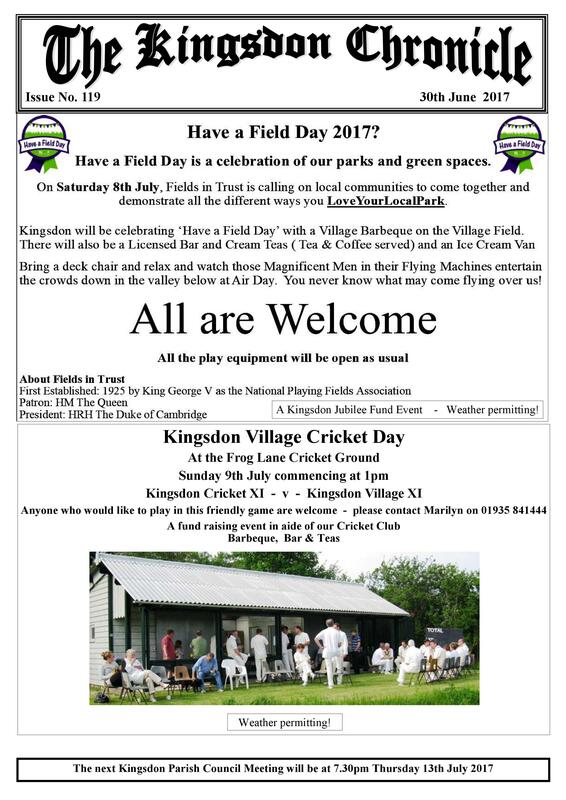 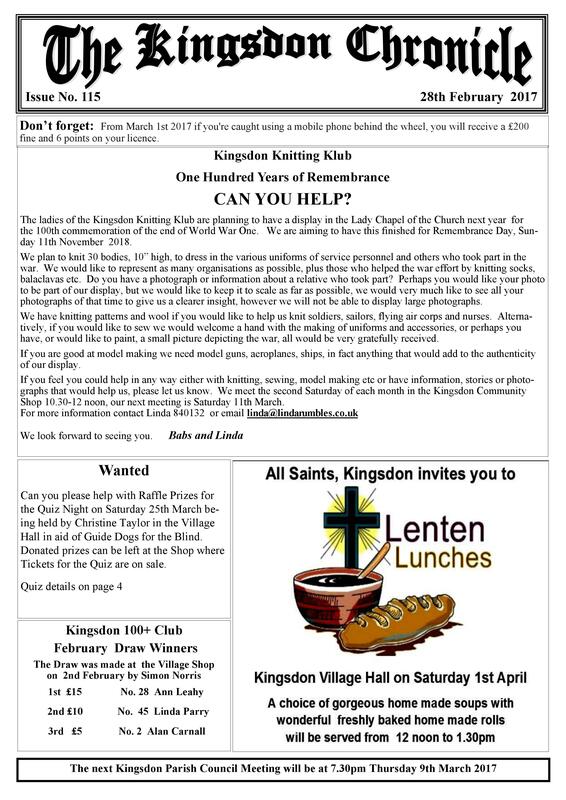 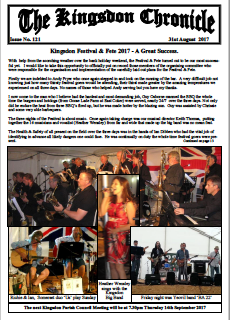 The Kingsdon Chronicle was started in 2007 and quickly grew from 4 to 20 pages per month celebrating its 100th edition in November 2015. 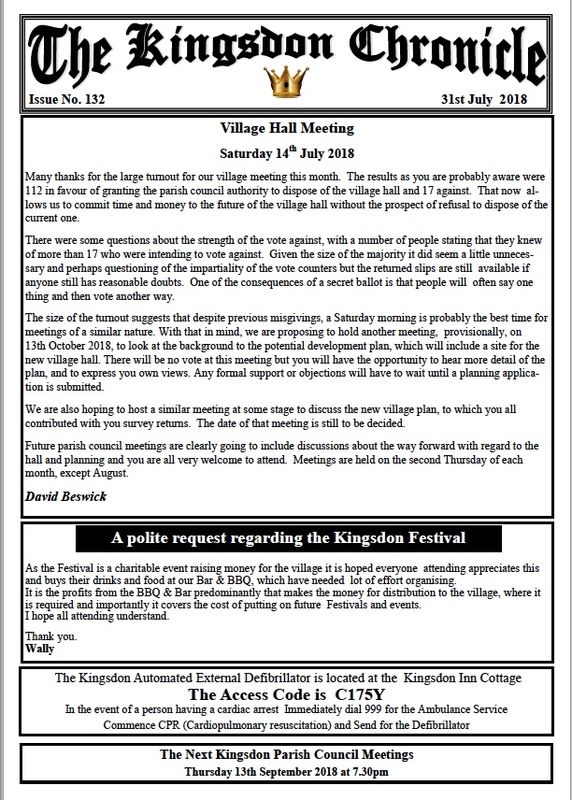 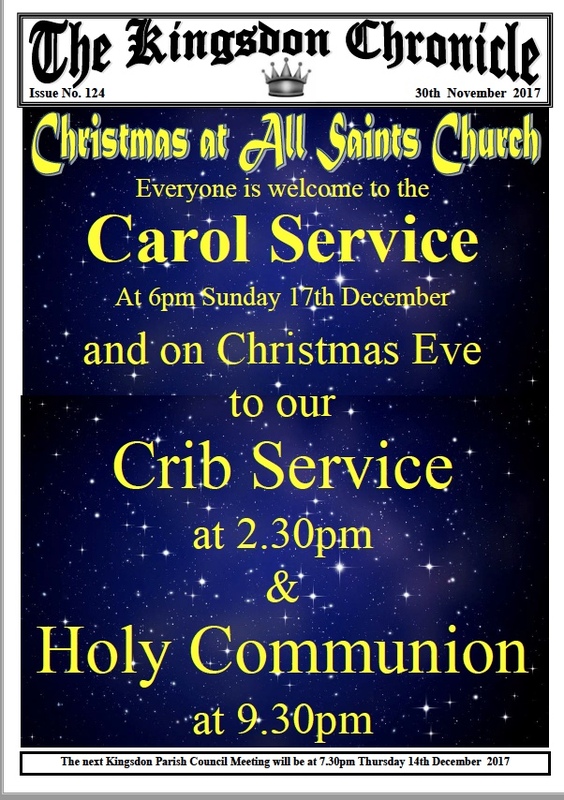 Issues prior to 2015 were not intended to be published on this website and are provided here for the convenience and interest of the community. 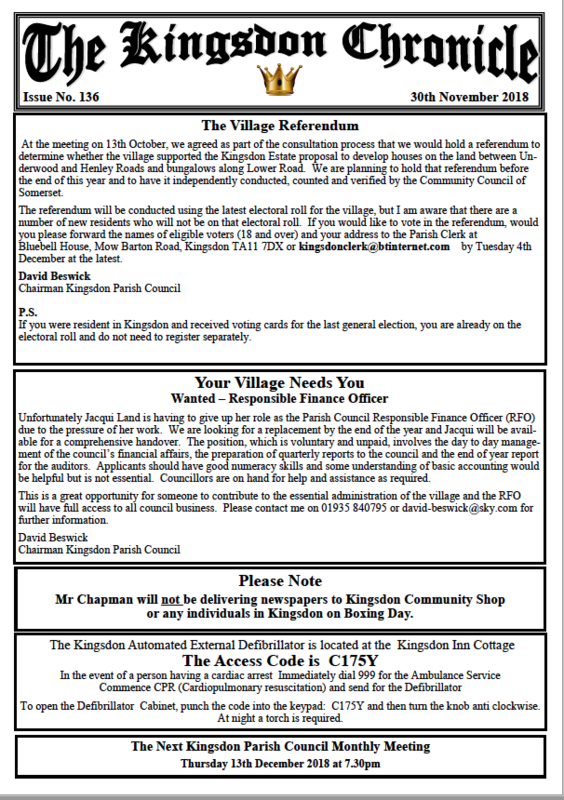 If there is any content in the Chronicles that you have a problem with please contact the Editor who will arrange for the web copy to be redacted if there is a legal reason to do so.